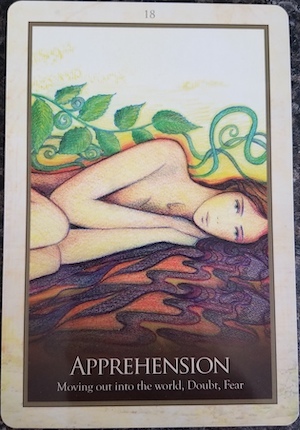 After the revelation yesterday - you’re seeing the patterns, listening to the messages in your dreams and in your own thoughts/knowing - it is normal to have some apprehension. BUT you got through Monday, and regardless of how it went, now is not the time to doubt yourself. *This week’s deck is the Gaia Oracle by Toni Carmine Salerno (affiliate link).